Edenens Purifying Facial Mask Source de Pureté is a genuine beauty revelator for combination and oily skins. Frangipani Tree Extract deeply purifies skin thanks to its cleaning action. Given the great absorption power of Green Clay, it immediatly eliminate impurities and sebum excess. Its creamy texture offers skin a refreshing bath to reveal incredibly clean and matte complexion, without drying it out. 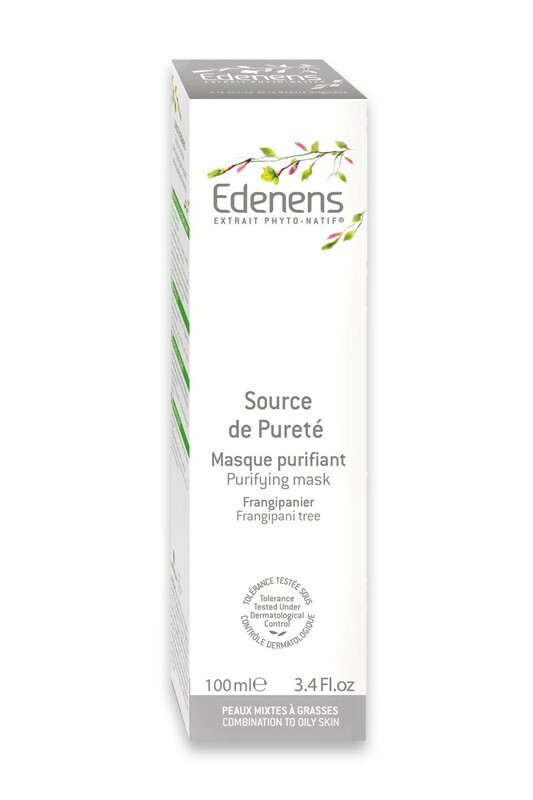 Phyto-Native Extract feeds skin cells with essential nutriments : peptids, amino acids, minerals... Edenens Purifying Facial Mask Source de Pureté sublimates your skin : pores are tightened and skin texture refined. Skin tolerance tested under dermatologist control. 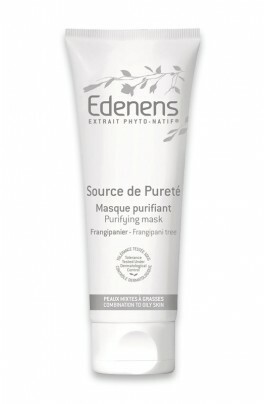 Apply Edenens Purifying Facial Mask Source de Pureté once to twice a week, on face and neck avoiding eye and lip contour area. Leave it for 10 to 15 minutes then rinse apuis rincez abundantly. Finish off with you usual Edenens moisturizing skincare.